The veteran actress and producer had a baby shower a few days ago and some of the photos are now on display. Uche Jombo looks set to have her first child following several set backs on having safe deliveries in the past. 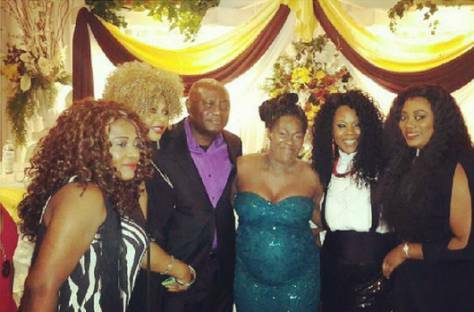 The heavily-pregnant actress was full of life, and had friends over to celebrate her soon-to-be bundle of joy. Brymo Shows Off His Pregnant Babymama on Instagram | Photos.